Northwest Crash Analysis, LLC utilizes a state-of-the-art, professional aerial mapping system. Professional mapping Unmanned Aerial Systems (UAS) are capable of producing highly accurate results. The basic workflow of UAS mapping generally consists of three stages: flight planning, data processing, and the outputs or deliverables. There are three main types of deliverables created by professional mapping UAS: orthomosiac images, 3D point clouds, and textured meshes. These deliverables can be used in many ways during the reconstruction process, but also with the presentation of the results of the analysis to the triers of fact. Orthomosiac images are top view (with no distortion), scaled, high resolution images of a scene. These images can be stand alone exhibits at trial. Vehicles, dimensions, and other entities can also be placed on these images to create very powerful exhibits. Point clouds consist of millions of points which create a 3D model of the existing conditions of any scene, building, vehicle, or other item of interest. 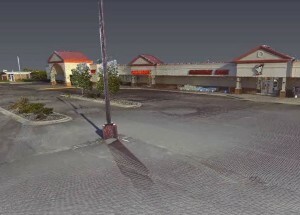 These point clouds can be used to create a forensic diagram, a 3D environment for both animation and simulation, and also can be used to create a “fly through” video which essentially allows the jury to have an accurate view of any scene from different perspectives by moving a virtual camera around the scene.